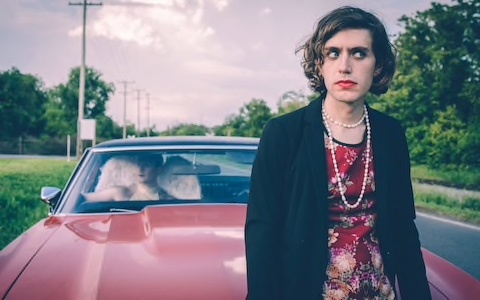 EZRA FURMAN CONSIDERED (2019): The screen door slams, Ezra's dress waves . . .
Of all those following Springsteen melodramatically hitting the blacktop to escape the suffocation of smalltowns and Dad/the day job/the downturn, few are as unexpected as Ezra Furman. At 32 with five albums behind him with his bands the Harpoons and the Boyfriends, and a solo album (The Year of No Returning in 2012) Chicago-born San Francisco-based Furman unleashed his desperate, Springsteen-influenced Transangelic Exodus in early 2018. It is a collection where there is a headlong and desperate flight to freedom, a racketing band (the Visions), images of despair and angels and lines like “a hero goes on when the others believe it all over . . .” on The Great Unknown. There are angels with broken wings, highways, parking lots and and the cover vaguely recalls Springsteen's Nebraska as Furman's face appears in the rearview mirror as he drives on a dark highway. By mainstream rock standards probably: He was bought a guitar for his bar mitzvah and those two factors – rock'n'roll and Judaism – remain the key poles (other than his fluid sexuality) of his life. He observes Shabbat (dusk Friday to dusk Saturday where he doesn't travel or use electricity), grew up equally in thrall to the romance of pre-Beatles rock'n'roll, the Velvet Underground, Dylan and American punk, and although he identifies as a man is bisexual. 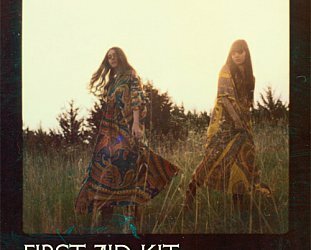 In recent times has taken to wearing dresses and make-up. He feels more comfortable that way. He describes Transangelic Exodus – the portmanteau “Transangelic” opens itself up to interpretations of the “trans” (Latin, meaning “across” as in transAtlantic or transgender) and “Exodus” referring to flight and the Jews out of Egypt – as “a queer outlaw saga” which is some part concept album about being in love with an angel and the both of them pursued by oppressive forces. So there is darkness, paranoia and metaphors in abundance . 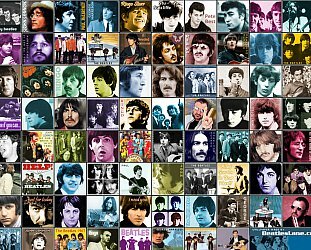 . . but what ties it all together is the tapestry of lo-rent Springsteen sensibilities in sprawling highway-driving songs and the tumble of words in the 13 songs (which sometimes seem so dense as to be longer than their modest running times, average length around three minutes). 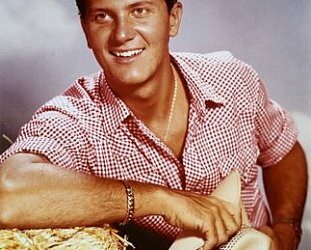 It is outsider stuff (“we're off the grid, we're out on our own”) and, in that, it chimes directly with the heightened awareness of these LGBGT times. It is also honest and courageous, but you sense Furman felt he could do no other than this music and explore these themes with his earlier band the Boyfriends now re-purposed as the Visions. Lyrical detail crowds many of these songs to add a sense of claustrophobic oppression but that is leavened by the often staggering energy and momentum of the music. It is not an easy escapist ride as Born to Run was, but more akin to Springsteen's Darkness on the Edge of Town and the story-telling of Nebraska . . . as played by the Modern Lovers or Velvet Underground. Furman's burned vocals make him sound like a smart street-scrapper, a man prepared to take on the lurching right-wing ethos of his country without compromise (and in a pretty dress). And the shabby synths and deliberate distortion all add to the dark allure. 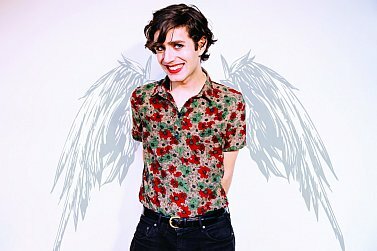 Ezra Furman is a beer-drinking, Jewish glam-rock'n'roll poet – in truth probably closer to the late Catholic boy Jim Carroll and the spirited post-VU rock'n'roll of Genya Ravan in the late Seventies than The Boss – and with this album he made the leap into a more ambitious territory than he was previously occupying where doo-wop and pop were more to the fore.